BEACH BLOCK - second back with exceptional views! This Home is well cared for and offers 3 bedrooms and 2 baths. The southern side of the street has the convent situated back 270 ft so the views are unobstructed and the power lines are underground. The beach is practically private due to the convent and the bird sanctuary. You could walk or bike to town from here. 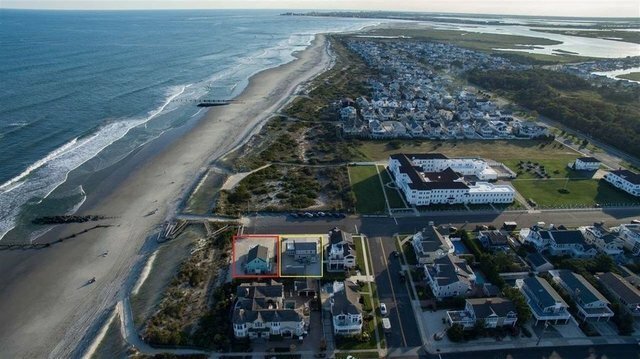 The Ocean front lot highlighted in red is also for sale. If you purchased both lots an approx. 5700 sq.ft. home could be built here. The lot would then be 114 x 100 sq. ft. This opportunity has not been available for 65 years when the two homes were first built.